Most experienced investors are all too aware that broker fees and commissions can eat up returns and put a tight squeeze on those hard-won profit margins. After dabbling in buying and selling securities on the stock market, many come to see that cost control is a particularly important element of any investing you may choose to do. We all know logically that chasing a high return on your money becomes a far simpler task when you stop spending cash you simply don’t need to spend. In fact, costs are one of the only things you have some direct control over in the investing game, since you don’t actually have a say in what markets do and what happens to a company’s share price. High investment costs are a barrier to wealth, but the good news is there are new and better ways around them which should translate into better net returns. Looking at averages for a moment — reducing fees by just 0.38%, for example, can add 7% (or around $40,000) to the average member’s superannuation account when it comes time to retire. While the difference may not seem significant at first (most people would shrug off 0.38%), thanks to the effects of compounding interest it can amount to a big gap in the end. According to research house, Rainmaker, Australians paid a massive $31 billion in superannuation fees in 2016. When you consider that managed funds charge high fees with the promise of high performance, but that the majority of all fund managers actually fail to beat the index they are tracking, you really begin to question why anyone is willingly paying these fees to have their money invested. That has led to the modern world of investing where more and more people are taking things into their own hands and managing their own portfolios. A high proportion are using online brokers to do so, which is far more economical than a managed fund for example, yet there are fees and commissions lurking there, too. The rapid escalation of FinTech has brought plenty of market disruption in the last five years, and we are now at a point where there are unprecedented tools available to help investors manage their own portfolios while keeping their costs exceptionally low. We now have players like Self Wealth. 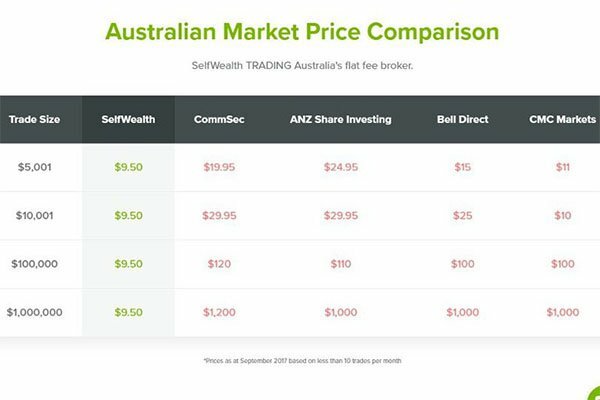 Less than six months ago, SelfWealth Limited (ASX:SWF) listed on the ASX. The FinTech small cap is offering what the Australian Financial Review has referred to as ‘Facebook for investors’. While that alone sounds intriguing, there’s a lot more to it than just a novel idea — the promise from the company is that there are considerable savings to be made through its unique platform. Although it remains a speculative stock and investors should seek professional financial advice if considering this stock for their portfolio. For the last two years SWF has offered its low-fee CHESS-sponsored online broking platform to customers, along with a unique service offering — a portfolio constructions tool and peer-to-peer portal. Not only is it a low-cost brokering platform, but users also gain access to the community of SelfWeath members, giving the customer a unique peak at the kinds of investments being made by their peers. Going a step further, a Premium account on the platform lets users create their own Target Portfolios comprising a diversified selection of stocks based on the top weighted holdings of the 10 best performing members they choose to follow. In a nutshell, SWF’s platform is a sophisticated peer-to-peer (or P2P) portfolio construction tool, based on real time data. So, while you save on fees, you can self-manage your portfolio with real-time (passive) assistance from SWF’s investing community. How well is this working for SWF’s users? The company created an index of its best performing user portfolio, the SelfWealth 200 (SW200). The index, calculated by FTSE Russell, includes the top 200 holdings by weighting from the top 200 SelfWealth portfolios (rebalanced quarterly) and proved that the index beat the performance of the ASX200 by a massive 14.13% in FY2015-16. 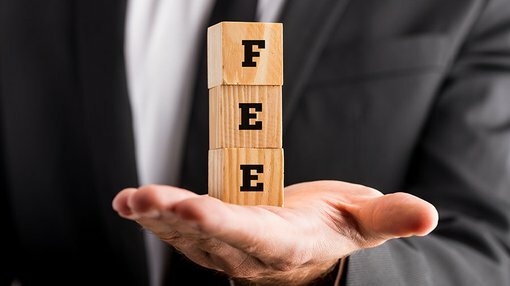 Freeing investors from high fees: a natural evolution? Some three million Australians have online broking accounts. Currently, the Big Four banks have 75-80% of that business through their platforms (nabtrade, CommSec and so on). For those wanting to trade on the stock market, it used to be the norm that they would visit a broker in person or call them to make a trade. Of course, with the online revolution, that model was disrupted dramatically and the cheaper option of online brokerage became readily available. What we are now seeing is the next wave of change to hit the world of stockbroking — and customers seem only set to benefit.